Caring about one’s appearance is not for women only. Face it: Life is competitive. Men and women who look younger and more attractive are not only more likely to get dates, they are more likely to get the job.  According to the American Society for Aesthetic Plastic Surgery, the number of surgical and nonsurgical cosmetic procedures performed on men has been climbing steadily in recent years. In the past decade, in fact, nonsurgical procedures have increased an astounding 290%. Unwanted body hair in any area can cause men to be self-conscious. With more than 166,000 procedures last year, laser hair removal for men is the second most common nonsurgical cosmetic procedure. Many men are opting for a well-groomed appearance, permanently eliminating or thinning out hair on the chest, abdomen, back, shoulders, neck, eyebrows and even beard. Stubborn love handles. Abdominal fat. Male breasts. Even men in excellent physical shape can have these or other embarrassing and/or unattractive issues. Wilmington Plastic Surgery offers conventional liposuction, as well as the revolutionary laser-assisted SmartLipo™ and completely noninvasive CoolSculpting, to help sculpt the body into a more pleasing shape. These procedures have become especially popular among men in the military who wish to maintain a sleek body profile in their uniform. Also known as gynecomastia, male breast reduction can be accomplished by liposuction or excision, depending on whether the excess is caused by too much fatty tissue or glandular and skin issues. Wilmington Plastic Surgery physicians are very experienced with both techniques.